Fook Yee obtained a Bachelor of Laws from the University of London, a Master of Laws from the University of Hong Kong and a Doctor of Laws from the Chinese University of Political Science and Law. He was the Founding President of the Hong Kong Institute of Surveyors in 1984 and has been a fellow member of the Institute since. His profession, prior to becoming a barrister, was an experienced surveyor. He is also a fellow member of the Hong Kong Institute of Arbitrators. 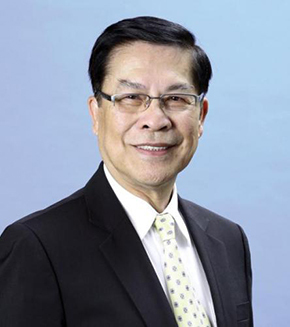 For his business interest, Fook Yee served as executive director and non-executive director in various listed companies in Hong Kong, and most remarkable service was Chairman of Henderson Sunlight Asset Management Ltd, manager of Sunlight REIT, a listed company in the Hong Kong Stock Exchange. Fook Yee has contributed significantly to Hong Kong’s public affairs. Fook Yee has been a senior adviser to the Heung Yee Kuk, a statutory advisory body established under the Heung Yee Kuk Ordinance (Cap 1097). He was a Legislative Councilor of the Provisional Legislative Council in 1996 and 1998. He was appointed Advisor of Hong Kong Affairs, Member of the Hong Kong Basic Law Consultative Committee in the 1980s and Member of the Preparatory Committee for the HKSAR since 1995. Fook Yee was appointed as a Member to the 6th and 7th Chinese People’s Political Consultative Conference from 1986 to 1993 and elected as a Delegate of the 8th to the 10th National People’s Congress of the People’s Republic of China from 1994 to 2008. For his impeccable public service to Hong Kong, he was appointed as a Justice of the Peace in 1989 and was bestowed the Gold Bauhinia Star in 2001. For his outstanding service to Hong Kong, he was bestowed the Silver Bauhinia Star in 2003 and has recently been further conferred the Gold Bauhinia Star in 2015 by the HKSAR Government.